Duraswitch® combines the best features of both an electro-mechanical and a flat panel membrane switch into a durable and robust thin keypad assembly that is designed to thrive in harsh, abusive, and rugged environments. Duraswitch® utilizes two unique technologies. Use one or both to create a custom, fully-featured user-interface designed to thrive in the toughest environments. PushGate® is a patented push-button design that incorporates crisp tactile feedback similar to an electro-mechanical switch. By using magnets and an armature, parts that typically wear out are eliminated. The thin profile of PushGate® switches works without the scraping, flexing, or grinding that typical membrane switch components endure. thiNcoder® rotor – The Duraswitch thiNcoder® rotor is an ultra-thin, non-invasive encoder that enables greater design customization. You receive the most benefit when you consult with us early in your project. Pannam’s U.S.-based design engineers work closely with you, offering expert recommendations and support to create a dependable keypad design that is built in our ISO-certified facility to meet your application requirements. The final delivery is a robust, feature-rich switch assembly that will set your equipment apart from the competition. 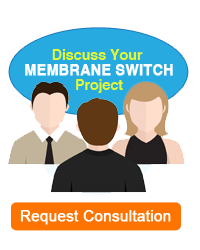 Contact Pannam now to discuss the use of a DuraSwitch product in your project. 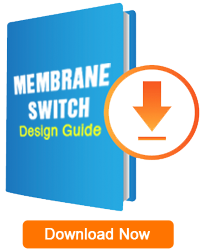 Visit our Product Gallery to learn more about the various constructions and product features we can offer, and how Pannam can customize your membrane switch design to meet and exceed your unique application requirements.